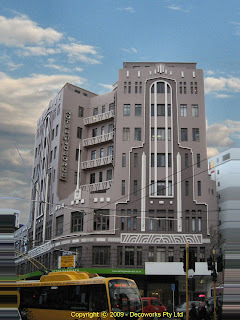 The Hotel St George situated at 124 Willis Street in Wellington is a very good representative example of the Art Deco style. The hotel was designed by William Prouse and its vertical proportions enhance its townscape significance. The Hotel St George opened in December 1930 to considerable fanfare. It operated as a hotel for the following 65 years, although it was seconded for use as a base by American marines during World War II. 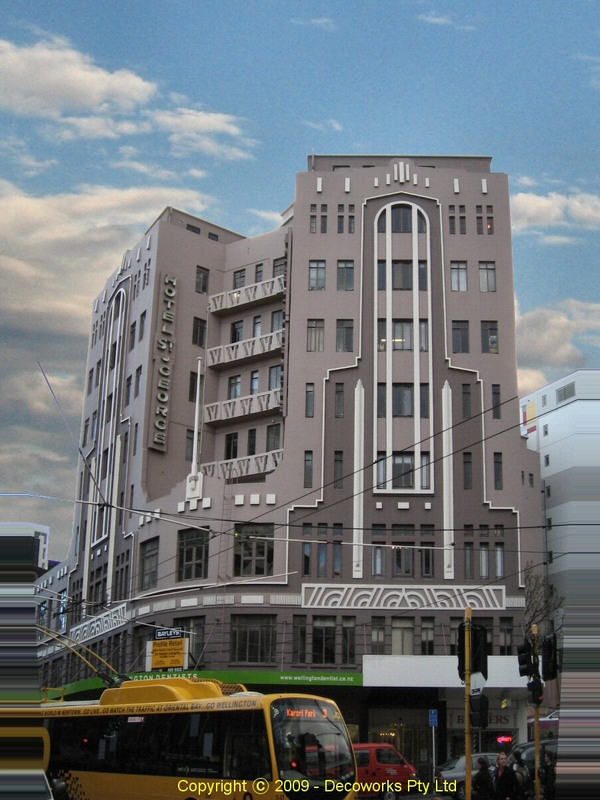 The hotel is one of several outstanding examples of the Art Deco style located in Wellington.